Vaping can be a delicate bit of business, especially for people who have just started vaping or who haven’t got into the rhythm yet. You’re not quite sure about the flavor profiles you like, you don’t know what kind of device you should use, and the whole DIY coil business? That might be a little out of your league right now. But here’s the thing — your vaping experience can be everything you want it to be. Do you want more flavor? We can show you how to get more flavor. Do you want to learn why you might not be tasting the flavor the same way all the time? We’ll tell you why. More importantly, we’re going to take you through five tips that will help you improve your experience. Some of these might seem like common sense, but it’s good to keep them in mind. And the best part? These are tips everyone can benefit from, so let’s get started. You’ve heard the term, but you’re probably not sure what it means. Well, it can mean you’re not drinking enough water so you get vaper’s tongue, which means your mouth is dried out and you can’t taste the flavor. The quick fix to this is to drink water between puffs on your vape device and see the difference immediately. Yes, it’s that simple. Alternatively, you can check to see if the vape company that makes your flavor can add an extra flavor shot. Not all vape businesses do this, but those that do will make sure your vape juice has the extra kick that you need. Here’s a little secret that most vapers don’t find out until they’ve been vaping for at least six months — the VG/PG ratio of your juice matters. Are you surprised? So were we when we stopped to think about it. The difference between VG and PG — vegetable glycerin and propylene glycol, respectively —is best put like this: VG gives you bigger clouds and PG gives you better flavor. This means that if you’re looking for better flavor, go for juices with a high PG ratio. This information should be on the bottle or in a product description, or if you’re in a vape shop, ask the owners. Be aware, though — the higher the PG ratio is in your vape juice, the faster you’ll go through it. This is because PG has a low viscosity and coils soak it up easier than VG. You’ll want to get a few bottles to make sure you have enough e-liquid, especially if you’ve been using high VG juices. On a related note to the tip above, make sure you’re using the right wattage, both for your device and your e-liquid. If you didn’t know that e-liquids can have a certain wattage recommendation, don’t worry — most people don’t know. Most devices will tell you the wattage range that is best used for that device. E-liquids can be a little harder. Most vapers use a trial and error test, where they move their wattage until they get a flavor they like. You probably do this to a certain extent and didn’t even realize it. If you want to learn more about choosing the right wattage for your e-liquid, ask your local vape shop or go on forums. Experienced vapers generally post recommended wattage for popular e-liquids and they are easily found online. Coils are probably the number one reason your vape experience isn’t everything you wanted it to be. Thankfully, this is easily fixed — just make sure you change your coils every three or four days. If you vape consistently, change your vape device coil every other day. This keeps your coil clean, your flavor bright, and keeps you from vaping on burnt or old coils. These tips are simple but they go a long way to help with a vaping experience. And if you’re vaping to kick a smoking habit, a good vape session is important. So try them out and let us know if you’ve found any other tips and tricks that help you get a better vape experience. 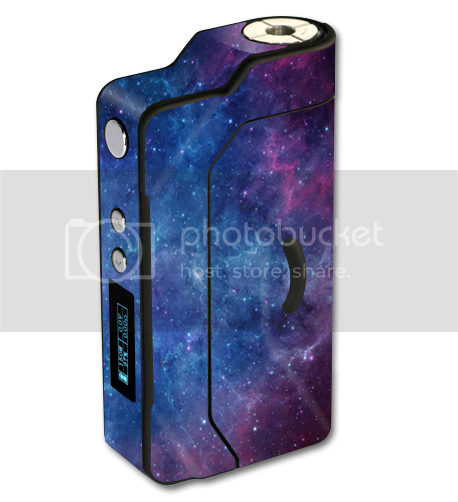 This guest posting is courtesy of MightySkins, an American owned, operated and manufactured company in Florida making quality vinyl skins for electronics such as vape wraps, Kanger wraps and Sigelei wraps.